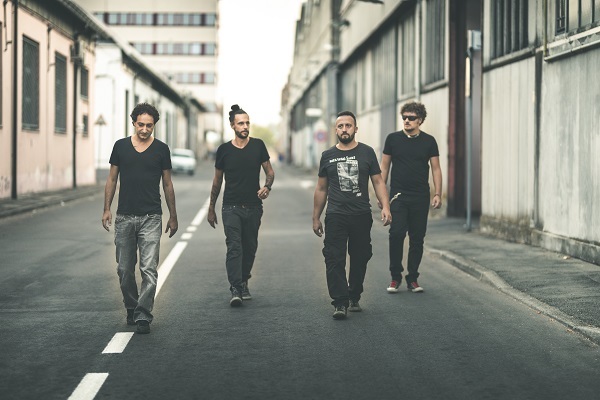 In Spring 2002, Francesco Liuzzi (vocals), Marco Mambriani (guitar), Simone Pilato (bass) and Matteo Taglioli (drums) give life to a new musical project. The Redrum (initially, the name of the band) immediately create their own sound, characterized by american-style guitars, immediate lyrics and sound sampling. During these 15 years the Redrum change their name into Panic Room, they sign up with independent Italian labels and produce 2 studio albums (Into the Redrum and Equilibrium), getting excellent reviews and starting various live seasons that allow to perform alongside Planet Funk, Nicolò Fabi, Omar Pedrini, Après la Class, Punkreas, Mel Previte, Simone Cristicchi, Tre Allegri Ragazzi Morti and Linea77. In 2011, Equilibrium is re-edited by the SFEM/The Lads Production label in Parma, inserting on the disc the video of the song "Star", the only single of the album. For this reason, in September they go to Berlin to take part in the 2011 POPKOMM, an important international exhibition for independent labels, and in October an 8-day tour in France allows them to play in Nice, Belfort, Paris and Marseille. Today, Panic Room, who in the meantime, changed the name back to Redrum04, after collecting some important dates, including the opening of the Lacuna Coil at the Campus Industry in Parma, are finally ready to launch their new album "A New Era".